Shree Trading Syndicate was established in the year 1947, just after the partition. It was a humble start as a general order supplier in Electrical and Allied Items, but today it is a name to reckon in different types of capacitors. 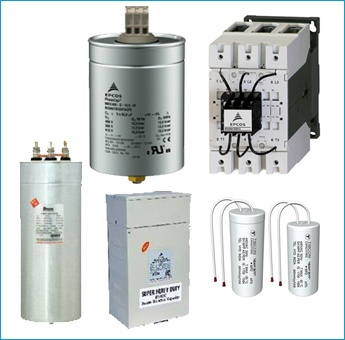 At the present time Shree Trading Syndicate is The House Of Capacitors, having offices at Mumbai & Coimbutore. Mr. K.P. Chhabria has been the main mainstay of the organization. His sheer hard work and foresight has brought up the firm to it's present level. Mr. Chhabria has remained the chairperson of BEST (Bombay Electric Supply and Transport Undertaking) during 1978 to 1980. Mr.K.P.Chhabria passaway in 2006, After that the organisation is head by his son Mr. Pradeep Chhabria. We are authorised channel partners of TDK India Pvt.Ltd. EPCOS India Pvt. Ltd., VISHAY Components India Pvt Ltd, Jaivic Electromech Pvt Ltd, Shreem Electric Ltd., Universal Cables Ltd, Tibcon Capacitor, Priya Capacitors Pvt.Ltd., Keltron Component Complex Ltd.